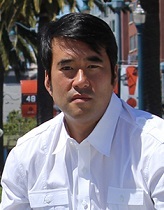 As one of the leaders of the infamous MIT Blackjack team, Jeff Ma was the inspiration for the main character in the best-selling book Bringing Down the House and the hit movie, 21. In addition, he has helped start four different companies including GolfSpan.com (sold to Demand Media), CircleLending (sold to Virgin), Citizen Sports (sold to Yahoo) and tenXer (acquired by Twitter). In that time, he has become a sought-after speaker showing companies how to harness the power of numbers to make better bottom line business decisions; decisions that, often, are the difference between winning and losing. Beyond his work in the start-up world, Ma has worked as a consultant to the San Francisco 49ers, the Portland Trail Blazers and Adidas, helping them to make better decisions using data and analytics. He spent two years working as on air talent for ESPN and served as their Predictive Analytics Expert. His book, “The House Advantage: Playing the Odds to Win Big in Business” was a business bestseller and draws on his unique experiences at the table and in the sports world creating a truly accessible work about business analytics. Ma currently serves as the Vice President of Analytics at Twitter, where he leads the central analytics and data science team helping the company to make better data driven decisions. He is working on his second book which will explore the second chapter of big data in the real world. Data, gleaned through technology, is not only supposed to help us do our jobs, but do them better. Sometimes, it can even make us ten times better than the average employee. Through the lens of his experiences in blackjack, pro sports consulting, and Hollywood, Jeffrey Ma discusses the importance of setting goals as well as tracking your progress and productivity along the way, and how gaming, analytics, and competitive tracking can lead to more useful, constructive feedback and more motivated teams and employees. Drawing from his unique personal experiences, from the blackjack table to consulting professional sports teams, Ma talks about innovative metrics in a way that will make you reevaluate how your group accesses talent, finds undervalued assets, and measure the true worth of your business. By eschewing emotion and honing in on hard facts and results, Ma has helped usher in what Newsweek calls "a new age of numbers in corporate America." As part of the notorious MIT Team depicted in Ben Mezrich's now classic Bringing Down the House, Jeff Ma used math and statistics to master the game of blackjack and reap handsome rewards at casinos. Years later, Ma has inspired not only a bestselling novel and hit movie, but has also started three different companies―the latest of which, Citizen Sports, is an innovative marriage of sports, betting, and digital technology―and launched a successful corporate speaking career. The House Advantage reveals Ma's cutting-edge mathematical insights into the world of statistics and makes them applicable to a wide business audience. He argues that numbers are the key to analyzing nearly everything in the world of business, from how to spot and profit from global market inefficiencies to having multiple backup plans in anticipation of every probability. Ma's stories and business lessons are as intriguing as they are universally applicable.